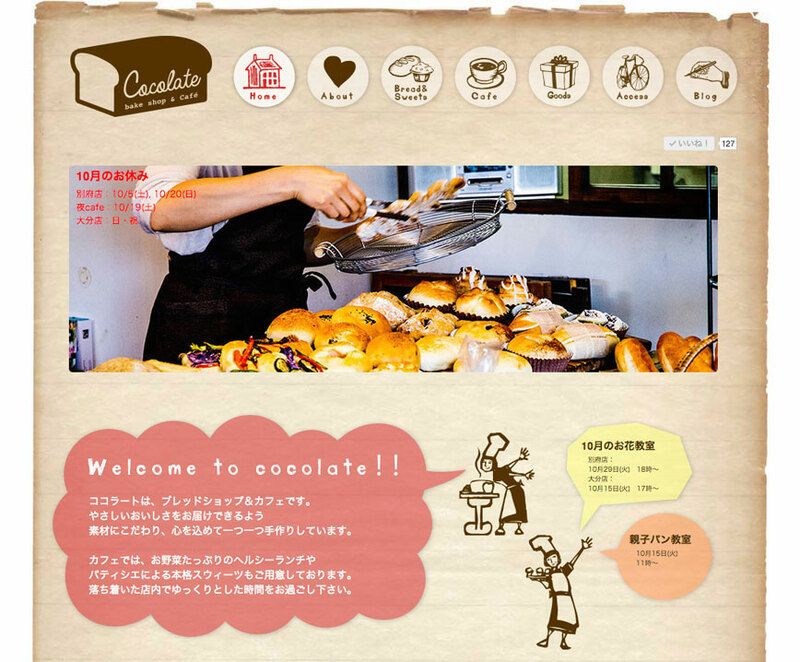 Bread Shop and Cafe “Cocolate” web site has just published on web now!! For this web site, I have tried to make the web site “warm” and “cute” to fit with friendly Cocolate shop in Oita, Japan. This web site is also made with CMS frame work and I am looking forward to see new posts about breads and lunch menu! !